Smart and compact; those are the first superlatives worth mentioning about this 2014 Samsung product. The 50-inch screen is huge. Movie lovers will enjoy this. Movies and network television shows aside, this Samsung UN50H203 delivers to interactive consumers on smart functionalities. Returning focus to armchair film addicts, the HD screen matches its screen size for quality. Another novel but functional feature to this Samsung edition is automatic volume control. Picture quality is excellent. What is more enjoyable about this screen is that it is huge. It is built for the occasion and should ideally be installed and mounted to the lounge or living room wall. This will allow movie watchers to engage in thrilling detail with the film they have selected, streamed or downloaded for the evening. Watching the show from the correct distance, much like reading a book at least 10 inches distance, not only preserves the life of eyes but ensures that the Samsung screen’s picture quality can be enjoyed as it was manufactured to do. This may be a tester for new eyes, but the smart functionalities have considered multi-tasking users well. It is apt for news junkies these days to be able to view a number of news networks simultaneously on one big screen with acres of screen space. For once, the sound matches the picture. Think of it as opposing forces finally meeting as equals. 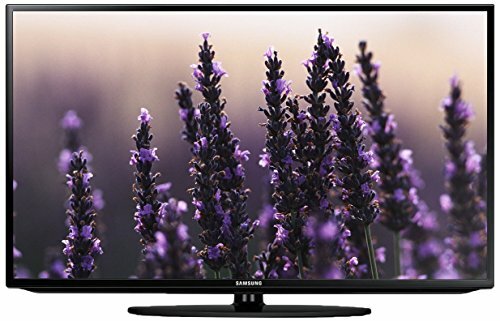 For smart customers who have already selected the 2014 Samsung UN50H5203, it is also a fair and equitable super deal. The sound delivers more. It is a superhero of sorts. An excellent additional feature of this supersonic product is Auto Volume. As its name says, it automatically adjusts the set’s volume whenever a new channel is selected via the compact remote. Gone are the days of having to adjust the senses with irritation. A review of this product is not finished until some remarks are made about the popular smart options that many customers look out for these days. Samsung has included updates of Hulu Plus, Facebook, Netflix Amazon Instant, Twitter, and YouTube. There are others too. Disappointingly for a product, of this level, browsing through networks is cumbersome. This is an area that Samsung’s software technicians need to have a hard look at. If some users are anxiously waiting for their favorite feed, they may not have to wait long because Samsung is continuing with these upgrades to more network channels and smart options. This broad spectrum of choices when they become available and are also utilized adds more value for money to the entire entertainment center. Sharp LC-43LE653U Review – Best Smart TV With Amazing Value!